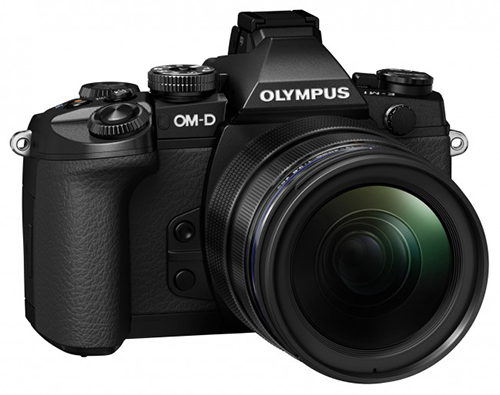 Olympus recently announced the next installment in the super popular OM-D line of cameras. The first camera, the OM-D E-M5, was released in March 2012 and surpassed all expectations, becoming one of their most popular cameras to date. The E-M5 works wonderfully underwater, providing high quality images and dSLR-like controls in a smaller, compact body. 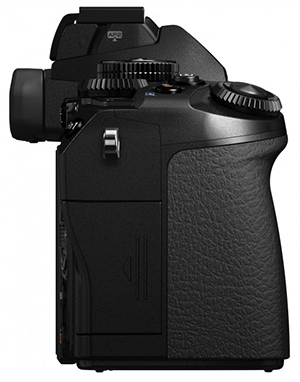 A few weeks ago Olympus announced the new E-M1, designed with the professional shooter in mind. This camera strives to further blur the line between mirrorless and dSLR cameras. 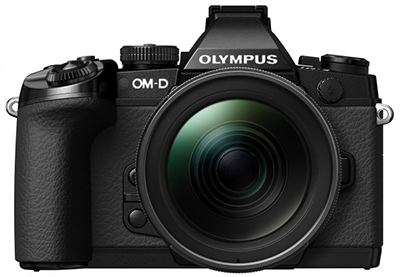 This new body is not a replacement for the E-M5, but a new flagship mirrorless camera for Olympus. One of the biggest differences in mirrorless vs. dSLR cameras is the autofocus system. 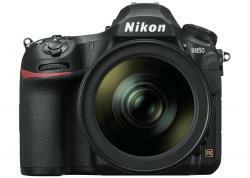 dSLR's use a phase detection system whereas compact and mirrorless cameras focus using contrast detection. 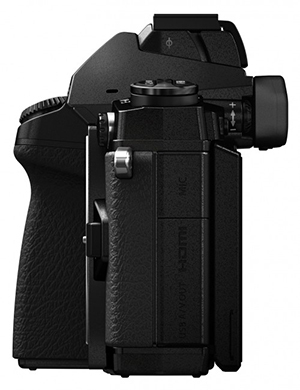 The E-M1 offers both, the first mirrorless camera to offer phase detection focusing. 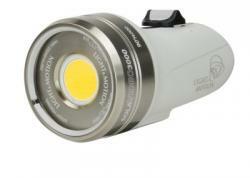 Phase Detection is available when using 4/3rds lens with adapter or with Micro 4/3rd lens in Continuous AF mode. This should really improve the continuous autofocus capability of the E-M1 over previous models, something that has always been fairly slow and unreliable in Mirrorless cameras. The C-AF will utilize both contrast and phase detection focus when using a micro 4/3rds lens, allowing up to 6.5 frames per second on burst mode with continuous focus. Autofocus vs. the E-M5 in low light is significantly faster based on tests from Olympus. Look for our image tests once we get one of the cameras in-house. Low Pass and anti-aliasing filters removed from the sensor, which should allow for sharper images, meaning improving image quality. Chromatic aberration removal based on the attached lens is included. The new sensor is designed to provide optimal resolution across a range of apertures. One big feature of the E-M1 is the ability to shoot up to 1/8000th shutter speed. Flash sync is up to 1/250th as with the E-M5 (up to 1/320th with some Olympus strobes). High ISO performance has been improved over the E-M5, offering less noise in low light situations when shooting at a higher ISO. In order to attempt to compete with the larger dSLR cameras that offer sharp, clear optical viewfinders, Olympus has worked hard to create the best Electronic Viewfinder available in the new E-M1. This viewfinder, larger than any previous Olympus camera, offers a clean, sharp image and uses improved LCD technology to dim and brighten the image. This immediately offers a more natural and accurate depiction of the scene in front of your lens. In addition, lag time on the viewfinder has been improved to beyond what the human eye can perceive at only 29 milliseconds, meaning the image appears and moves exactly as you would perceive without the camera - no delays. The E-M1 leans more towards the look and styling of dSLR cameras with a larger built in grip and multiple dial control. Mode Dial Lock. Olympus has built in a mode dial lock with the E-M1, something common to dSLR cameras. This lock is made so that multiple finger control is not required, simply push down and the button remains locked, pushed again and the lock is disengaged. The camera body is significantly weather proofed and designed to be freeze proof, offering full functionality down to -10 degrees Celsius. The E-M1 is jam-packed with some other nice features, most of which won't come into play for underwater use. They will, however, add to the camera’s value topside. Built in WIFI - allows for control of the camera through an app on your android or apple phone. Improved control allows a multitude of functions, including live bulb preview allowing you to see results of a long exposure before the bulb ends, so you know if you like the results without having to wait for the processing. In camera HDR - able to merge up to four frames in camera for instant HDR photos. Improved art and scene filters. Yesterday i got the chance to check out one of the pre-production versions of the new OM-D EM-1. The camera felt great in my hands, nicely weighted, small, but with a really comfortable hand grip. The first thing that stuck out to me was the redesign of controls and buttons. One of my biggest complaints about the E-M5 was the super small buttons. As a gal with average sized hands it was never a deal breaker, but for many of our customers the small buttons were a real pain. 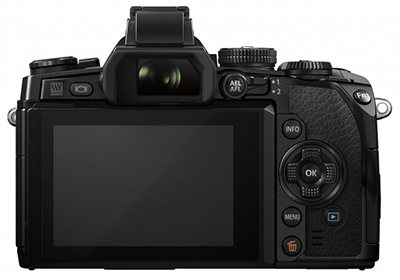 The new E-M1 has larger buttons, well placed for ease of use. In addition they've changed the style of the dials. The new dials look much more sturdy (not going to pop off the camera like so many of us had happen on the E-M5). This camera was a preproduction model, so the firmware wasn't completely updated, however you could tell that the camera was focusing fast - it will be interesting to test speeds against the E-M5 once we get the new ones in. I tested out the S-AF with standard contrast focus which seemed slightly faster than I'm used to with my OM-D, and then switched into the C-AF (continuous) mode where the new on chip phase detection focus can take effect. In a decently lit room the focus speed increased dramatically compared to what I am used to with the E-M5. The 60mm macro lens focused quickly and accurately between near and far subjects with little or no hunting. Of course the real test will come with the actual finalized camera in a low light focus test, but so far its looking pretty good. Lastly I switched between the LCD view and the electronic viewfinder to see the changes made there. I definitely noticed the improvements in terms of a high quality electronic viewfinder designed to look as close to what the eye would perceive as possible. Quick panning movements look fluid and natural and the image on the viewfinder is crisp and colors were accurate. Once I have some more time with the E-M1 I plan to do some in depth comparison's against the E-M5 and other cameras to really see how the viewfinder holds up. More Pro Features that Advanced Shooters Look For. 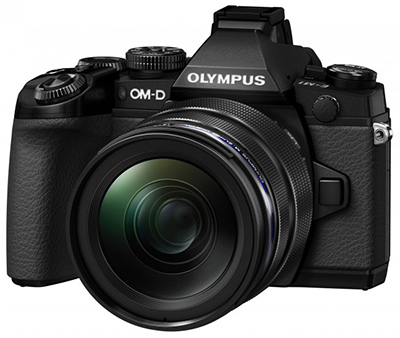 The new Olympus OM-D E-M1 camera looks to have the makings of a great new flagship camera from Olympus for Mirrorless shooters. It will bring the mirrorless line of cameras one step closer to truly competing with larger dSLR cameras and offers professional controls in a small sized body. It looks to be just as good, if not better for underwater than the E-M5, with improved high ISO performance, button controls and processing power. Will it live up to these specs? The cameras are planned to start shipping late October or early November, and as soon as we can get for an extended period of time we'll put it through the full range of tests to see how it compares. All in all my first hands on time with the camera didn't disappoint. If it holds up to focus speed and ISO tests, I know this will make a great step in the right direction of the mirrorless line, letting us take one more step towards the line that separates the larger dSLR cameras and our small mirrorless ones. Kelli Dickinson is an avid diver, manager of Bluewater Photo Store and an industry expert on mirrorless cameras and housing options. 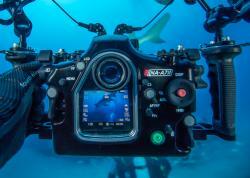 She has over 100 dives with the Olympus OM-D and PEN cameras. You can reach her by email at kelli@bluewaterphotostore.com.